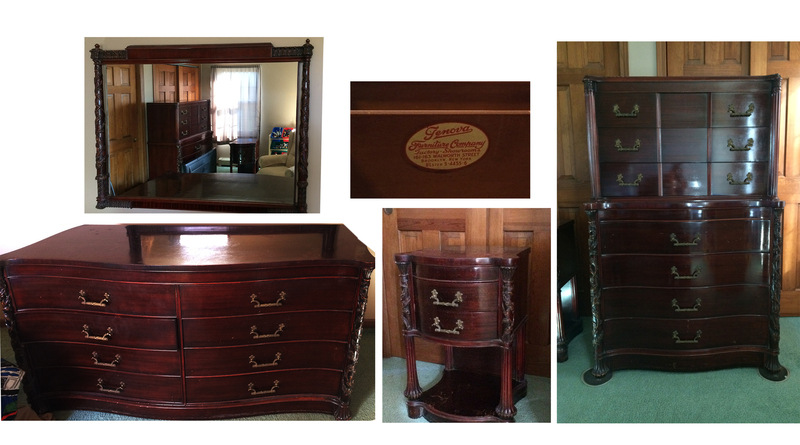 Full solid mahogany bedroom set purchased in 1943 from the Genova Furniture Company, Brooklyn. The intricate detail work is intact. There is wear on the finish, especially on the end tables. Photo of the headboard and footboard are not availabe at this time. I'm looking for a value prior to posting for sale. Thanks.